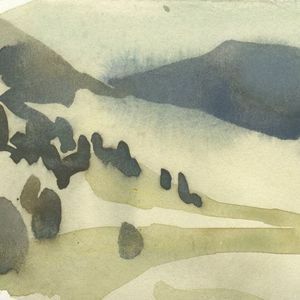 This one-day workshop introduces valuable techniques for combining the full, fresh watercolor of squirrel mop brushes with the sensitivity of pencil rendering. The lesson will reevaluate the traditional relationship between pencil’s rigid, draftsman quality and brush’s “fill-in-the-lines” purpose to establish new ground that blends and even switches these tools’ assumed roles. Squirrel mop brushes are unusual and excellent tools for painting the widest range of strokes from needle-fine to heavy puddles while holding generous amounts of paint. Some watercolorists find this is the only brush they need due to its versatility. The workshop is a friendly mix of group instruction alongside individual attention to help students complete single-sitting paintings of plant and object based still life. Register today! *These materials are to cover class use only. pencils you already own so we may discuss advantages and disadvantages to a variety of materials.